1. 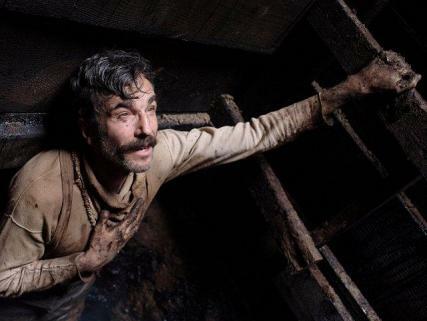 Daniel Day-Lewis- There Will Be Blood– Towering doesn’t even begin to describe Daniel Day-Lewis’ performance in Paul Thomas Anderson’s epic deconstruction of the American Dream. He commands the screen with a ferociousness and method that makes him peerless among other living screen actors. As Daniel Plainview, he creates a vision of greed as a replacement for love that is ferocious, haunting, and uncompromising. Though Anderson was the visionary behind the camera, it would not have come to full fruition without the help of Day-Lewis. Who else could belch the line “I drink your milkshake!” and make it sound like the coming of the apocalypse? Key Scene- In a three hour movie where he appears in every scene, it’s hard to choose one. In the end, I decided between two confrontations between Plainview and the preacher Eli Sunday (Paul Dano). The infamous “milkshake” scene actually takes second place the the excruciating baptism Plainview is ordered to endure to get the land he wants. Now in Sunday’s arena, he is forced to pay for the sins of his past, namely humiliating the preacher by smacking him around in the dirt. Now getting the sin slapped out of him and water thrown in his face in front of the whole congregation, Plainview loses that ever-important control. In a surprising release of emotion, he appears to reach out to the son he abandoned. Whether he likes it or not, he’s been gotten to, and there will be… well, you get the idea. 2. Heath Ledger- The Dark Knight– A short-lived career bore many fruits for the late, great Ledger. His performance in The Dark Knight won him a rare posthumous Oscar, though he would win the award almost any year he was nominated. Nolan’s realistic retelling of Batman called on a new take for the Clown Prince of Crime, and Ledger answered with a vengeance. Wielding a smile carved into his face, chipped paint, and mangy hair, he managed to create a definitive image of an already legendary character. It’s an unforgettable performance that will haunt you forever. Key Scene- The best scene in the entire movie is when Joker and Batman muse in a grim prison interrogation. 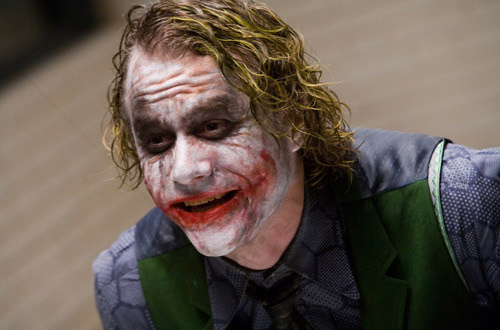 Ledger is terrifyingly real in the scene, laughing as Bale’s Batman pummels him. “You have nothing! Nothing to do with all your strength!” he bellows. It’s one of the best movie scenes in years thanks to his artistic dedication to this larger-than-life villain.